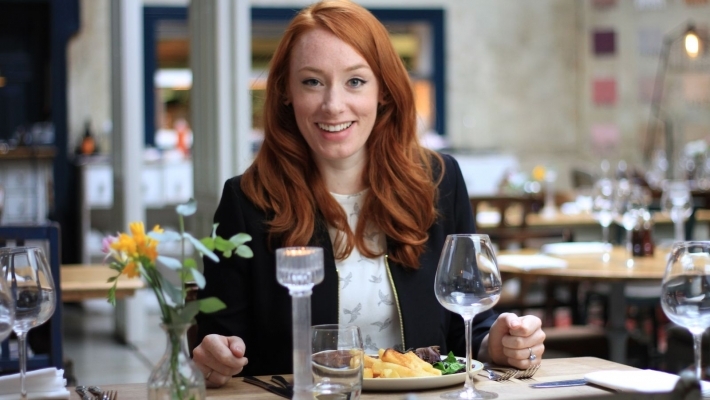 How to have a happier life and a better world – all thanks to maths – in this witty, mind-expanding guide to the science of success with Hannah Fry. Following in the footsteps of BBC Four’s award-winning maths films like ‘The Joy of Stats’ and ‘The Joy of Data’, this latest gleefully nerdy adventure sees mathematician Dr Hannah Fry unlock the essential strategies you’ll need to get what you want – to win - more of the time. From how to bag a bargain dinner to how best to stop the kids arguing on a long car journey, maths can give you a winning strategy. And the same rules apply to the world’s biggest problems – whether its avoiding nuclear annihilation or tackling climate change. Deploying ‘The Joys Of….’ trademark mix of playful animation alongside both oddball demos and contributions from the world’s biggest brains, Fry shows how this field of maths - known as game theory – is the essential key to help you get your way. She reveals ways to analyse any situation, and methods of calculating the consequences of getting what you want. Expect tips too on taking advantage of what your opponents do, but also pleasing proof that co-operation might get you further than conflict. Fry also hails the 20th century scientists like John von Neumann and John Nash who worked out the science of success. They may not be household names, but they transformed economics, politics, psychology and evolutionary biology in the process – and their work, Hannah demonstrates, could even be shown to prove the existence and advantage of goodness. Along the way the film reveals, amongst other things, what links the rapper Ludacris, a Kentucky Sherriff, a Nobel Prize winner and doping in professional cycling. And there’s an irresistible chance to revisit the most excruciatingly painful and the most genius scenes ever seen on a TV game-show– as Hannah unpacks the maths behind the legendary show ‘Goldenballs’ and hails Nick Corrigan, the contestant whose cunning gameplay managed to break the supposedly intractable ‘Prisoner’s Dilemma’. 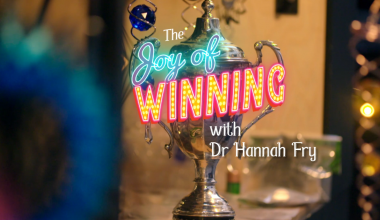 Other contributors to The Joy of Winning include European number one professional female poker player Liv Boeree; Scottish ex-pro cyclist and anti-doping campaigner (banned for 2 years in 2004 for doping) David Millar; Israeli game theory expert Dr Haim Shapira who shows why it’s sometimes rational to be irrational; and University of Vienna top evolutionary game theorist Prof. Karl Sigmund.